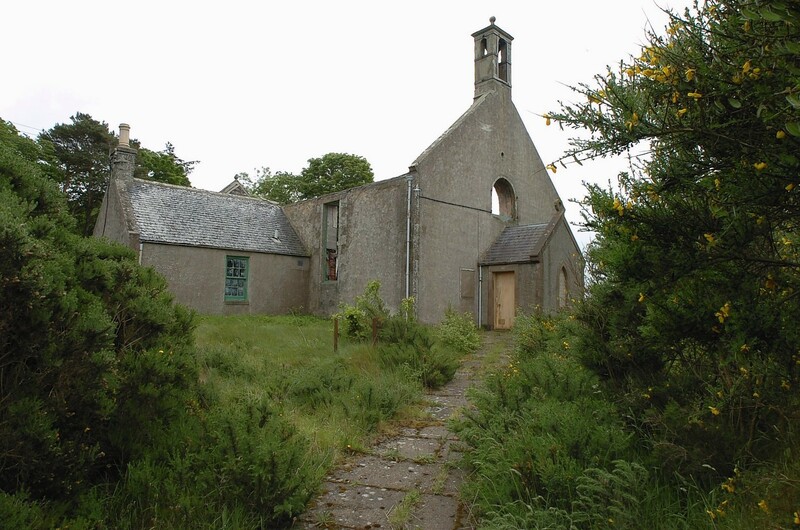 A court has rejected a compensation claim from the former owner of a north-east church which was destroyed by fire 15 years ago. Artist, The Lady I Am Hazel Virginia Whitehouse-Grant-Christ, took legal action after the building insurers, Ecclesiastical Insurance, refused to pay out on a claim for St Brandon’s Church in Boyndie. However, her claim was rejected on the grounds that when she arranged cover she told the firm the building would not be used for business – and that no one with a criminal record would live there. The insurers said they were not prepared to pay out because the building housed the Art Caput gallery – and the owner’s husband had a criminal record. Both of the claims were refuted by the artist, who claimed her husband was estranged from her at the time and that the church was not being used as a business. The insurance firm subsequently sought a “declarator” to confirm its legal right to reject the bid. In response, Mrs Whitehouse-Grant-Christ lodged a counterclaim against Ecclesiastical Insurance and pursued damages for defamation in relation to statements made in the press and elsewhere. She was also seeking compensation, claiming the church was used as a meeting place for religious group The First Church I Am The School of Life Ministry of Solehealism – that and under the historical definition of “patrimony”, a church can have a legal right to a building. However, the case has now been settled in favour of the insurance company after it came before the Court of Session, the highest civil court in Scotland. In his judgement, Lord Boyd granted the declarator and also dismissed the counterclaim, saying it was not lodged until 2012 – outwith the five year limit required under Scots law. Lord Boyd also rejected Mrs Whitehouse-Grant-Christ’s defamation claims because she had not sought damages from the newspapers which had published the comments. In addition, he said the time limit for pursuing legal action, which is 12 months, had passed prior to her making the claims.